Please join our congregation in a celebration of faith, culture, history, and church architecture on the weekend of Trinity Sunday, June 9-11, 2017. William Maddox, organist and music director at Toronto’s Yorkminster Park Baptist Church, will perform a benefit recital at our Landmark church on Friday, June 9, 2017 at 7:30 p.m. Active as a recitalist, he has appeared in recital throughout Canada and internationally, including appearances at Roy Thomson Hall, St. Patrick’s Cathedral in New York, the Royal Parish Church of St. Martin-in-the-Fields, London, Washington’s National Cathedral, the Sao Bento Organ Festival in Sao Paulo, Brazil, and most recently and at the Cleveland Museum of Art. In addition, his recitals and recordings have been heard on nationally broadcast programs of the CBC and American and Brazilian Public Radio. 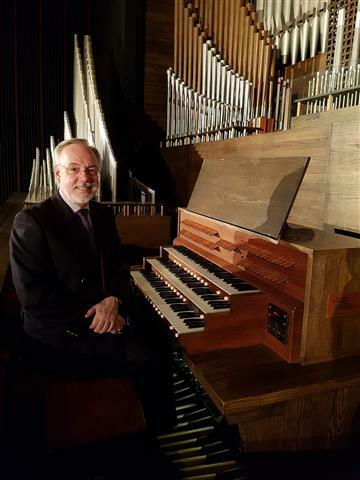 A member of the Buffalo Chapter of the American Guild of Organists, Mr. Maddox has also served as Instructor of Organ in the School of Music at Queen’s University at Kingston, Ontario, and is actively involved as a consultant to many churches regarding the tonal design and console appointments of their new instruments. The recital will be followed by a reception, allowing audience members an opportunity to meet and talk with the Mr. Maddox. Although there are no tickets for his performance, a free-will offering for the church’s Under This Roof preservation fund will be taken, with a suggested $15 per person donation. Docent interprets iconography on the church facade. 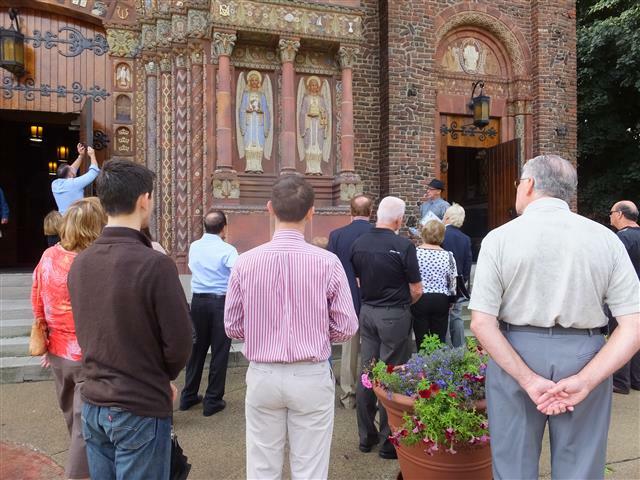 On Saturday afternoon, June 10, the public is invited to tour our Landmark church. Knowledgeable docents will be available to answer your questions about parish history and the church’s remarkable art and architecture. 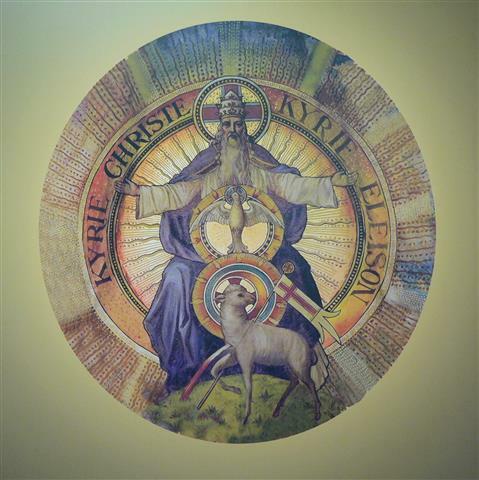 Feast Day Liturgy at 10:00 a.m. The weekend celebration will culminate on Sunday, June 11, when the public is invited to join parishioners and their guests in observing Trinity Sunday at a special 10 a.m. Mass celebrated by Rev. Victor Ibhawa. The liturgy will be followed by a brunch in the parish hall. Reservations for the brunch may be made by calling 716-833-0301 by June 7. Blessed Trinity is wheelchair accessible with secured off-street parking.